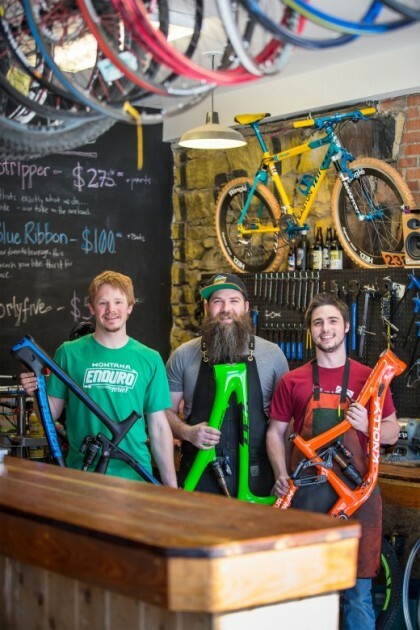 The moment you walk in, it’s obvious The Garage isn’t just a retail store—it’s a working part of central Montana’s cycling community, offering local art, a meeting space with a full-on DJ studio, and even beer on tap, along with custom bicycles, accessories and fine repairs. “The Garage grew out of…my own garage,” owner Steve Coen grins at the metal overhead door that opens onto North Jackson Street. A bike shop can be like a classic art studio, where personalized craftsmanship is the result of years of apprenticeship. With a little help from Steve, Cole and Evan, you’ll pedal out of The Garage on the bike of your dreams. You never know what three Montana guys will cook up in their college dorm. Ethan Kohoutek, Riley Tubbs and Jordan Keltz were friends in Jesse Hall at the University of Montana when Jordan began to experiment with home brewing. 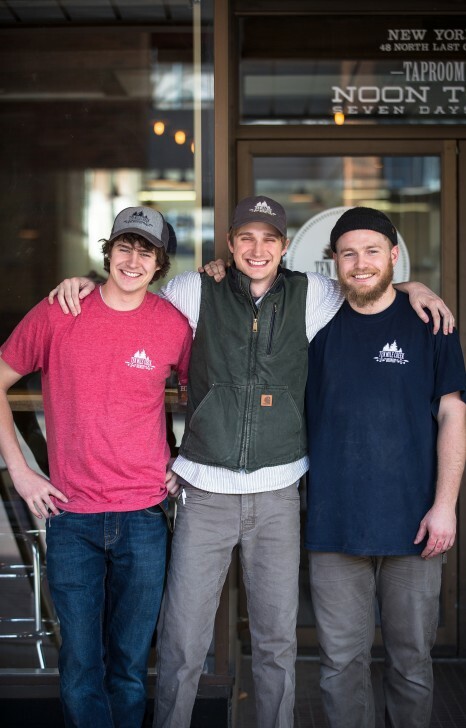 Last fall, this affable trio of 26-year-olds became the proud owners of Helena’s new Ten Mile Creek Brewery. Nothing is automated in this brand new six-barrel brewery, which has a sweet spot on the walking mall and the capacity for on-site expansion. Open daily from noon to 8 p.m.,Ten Mile Creek’s 1500-square-foot brew pub is already part of Helena’s creative culture, with rotating local art, special events, and a popular Sunday morning yoga class, ‘Downward Dogs & Drafts.’blocks Stemple Road. “On warm summer evenings, it’s hard to close on time.” Anna Doran, the owner of Helena’s Big Dipper doesn’t complain when customers are lined up out the door at 10 p.m. 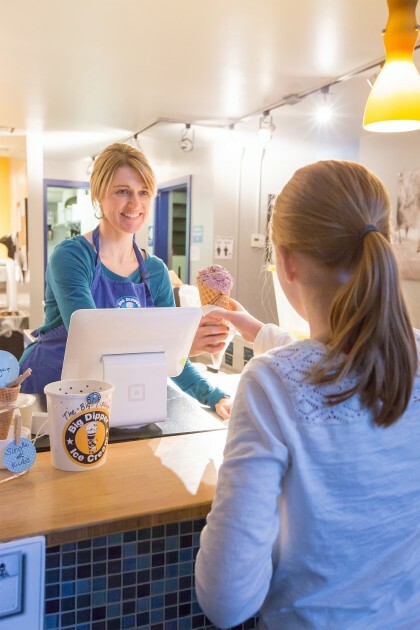 It took two years for Doran to talk Charlie Beaton, founder of Missoula’s iconic ice-creamery, into her franchise idea. In the past six years, Doran has found success with sundaes, cones, shakes and sorbets. Though they have a sign, if you’re on the walking mall, the Big Dipper is easy to find: just follow the sweet scent of fresh-baked waffle cones!